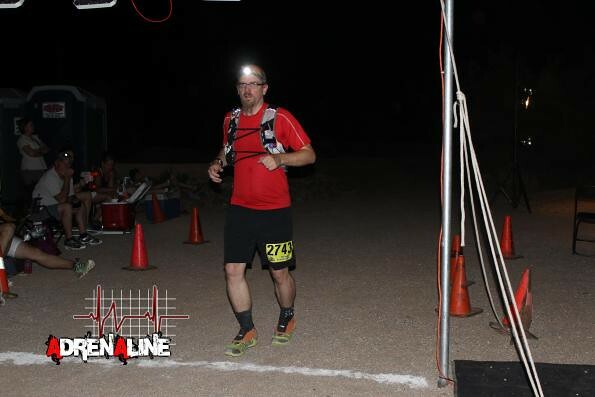 Aravaipa Running‘s 26km Adrenaline Night Run race starts in the desert heat at sunset – for a minute I run with my friend Ryan but he speeds off and is soon out of sight… I feel good – hot, but good – and a few miles in I turn on my headlamp. Why hasn’t the runner in front of me turned on their headlamp? We hit the first aid station and I hear no-headlamp-runner ask for batteries – I feel bad, I have a spare headlamp and spare batteries with me – should have asked, arg… After the first aid station there is a nice section downhill fun – but the last section of the loop is a series of awesome-on-a-mountain-bike rollers that wear me out before the Start/Finish line aid station. I take a nice break at the Start/Finish aid station while the great volunteers fill up my reservoir with ice and water – again out into the desert – I see headlamps spaced along the course but for awhile I can not hear anyone and I am essentially alone and not feeling great – why exactly did I sign up for this, wasn’t there a half marathon distance I could have done, will I ever do one of these again… But somewhere before the 4-mile aid station I start to have fun again and by the time I hit the last aid station I realize that if I keep running I can easily finish under 4 hours – longer on the course than I had guessed/hoped but it motivates me to keep a good pace all the way to the finish line where I am greeted by cheers from my friends! 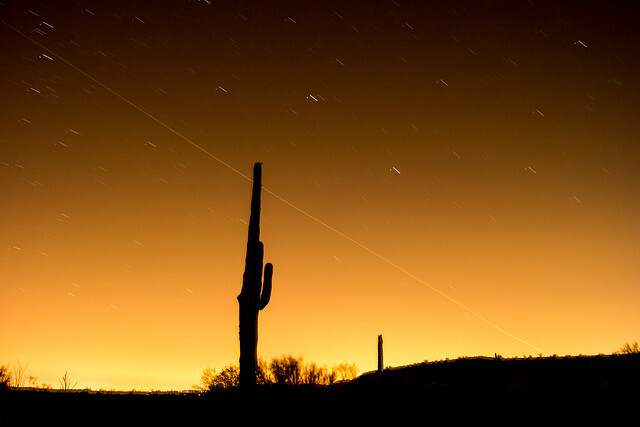 Night sky – taking a break after finishing before driving back to Tucson. 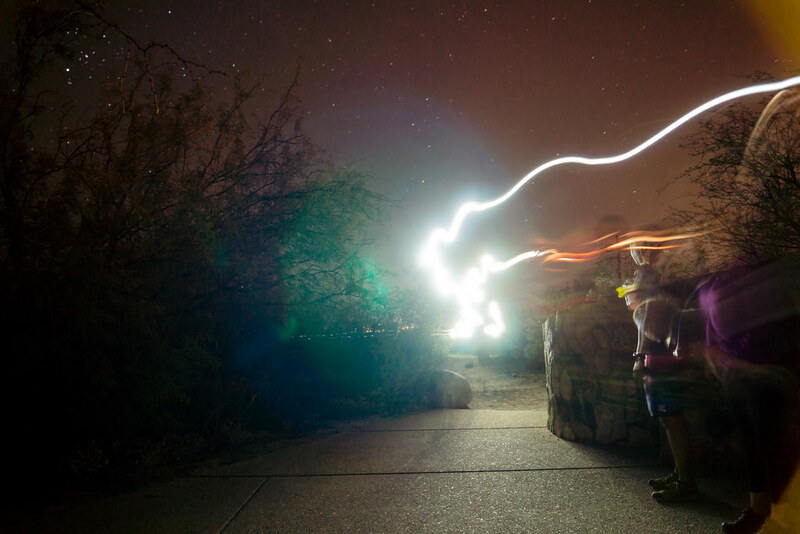 This entry was posted in Friends, Running and tagged aravaipa running, mcdowell mountain park on 2013 June 14 by cmiles. Starting the day at the Fairbank Historic Townsite. 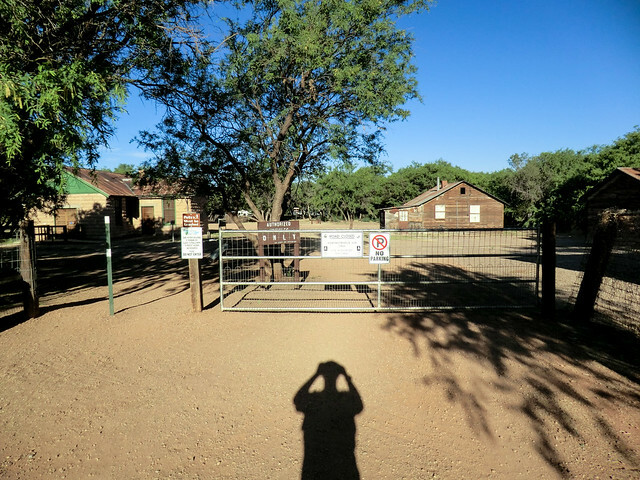 Memories of the heat on my last San Pedro adventure – and climbing temperatures across Southern Arizona – motivated me to get an early start, after a few errands and a bit of driving I arrived at the Fairbank Historic Townsite. 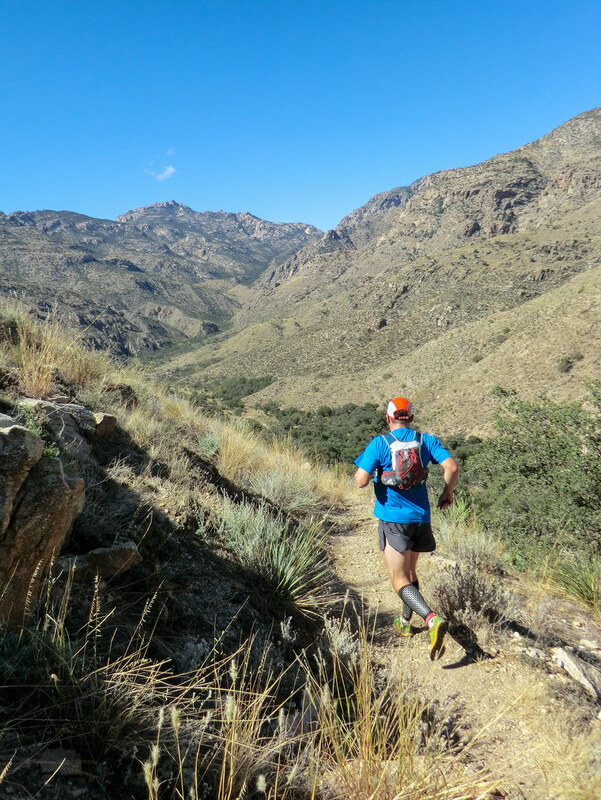 I wandered around the site for a few minutes inspecting buildings and reading signs – but I was quickly on the San Pedro Trail. 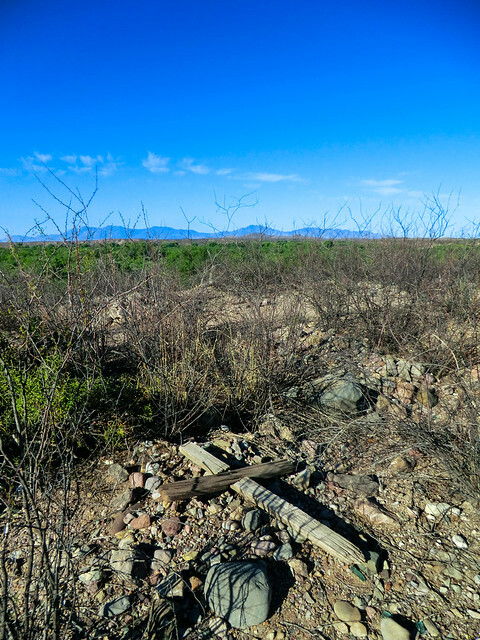 A fallen cross in the Fairbank Cemetery – overlooking the San Pedro River. The Fairbank Cemetery was a short (well signed) side trip from the main trail – I didn’t know what to expect but the hill-top location overlooking the river and feeling of the place surprised me a little, a bit lonely and distant. I lingered a few minutes and moved on. 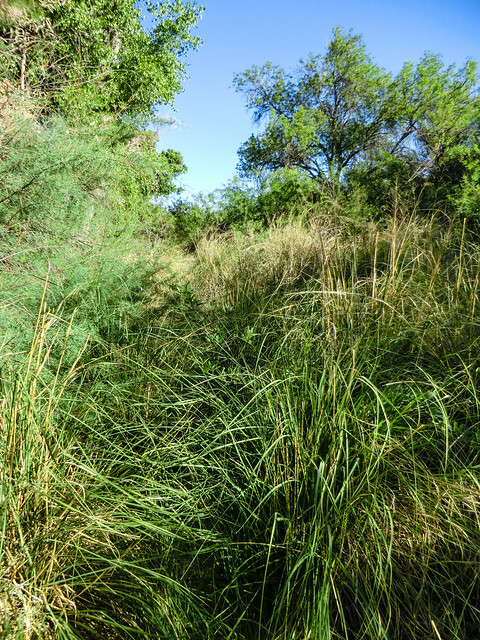 After Willow Wash the wide trail became single track – sometimes overgrown – and I followed what I think were Mountain Lion tracks along the trail to the Contention area. After a nice break in the shade I decided to take the river bed back – it was dry near Contention and stayed dry for sometime, but eventually there was a bit of flowing water. Green grass beginning to appear – almost to flowing water! I took the river back to Highway 82 and then followed a small path along a fence line until emerging at the old rail platform under the highway near Fairbank – just a short walk from the car – finished before the worst heat of the day! 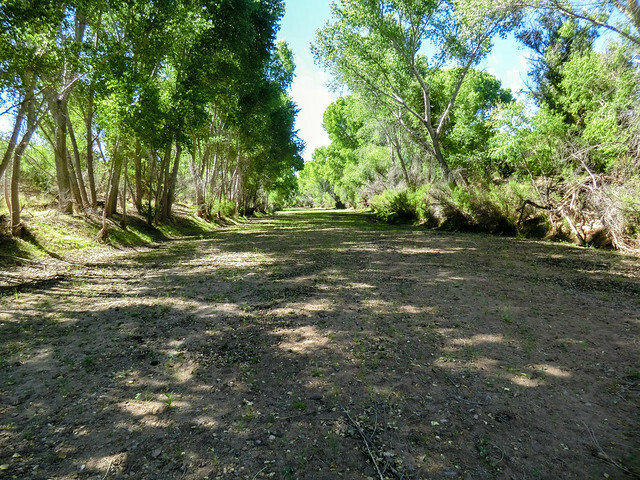 San Pedro Riparian National Conservation Area – BLM’s site for the San Pedro RNCA. Wikipedia – San Pedro – a nice place to start. 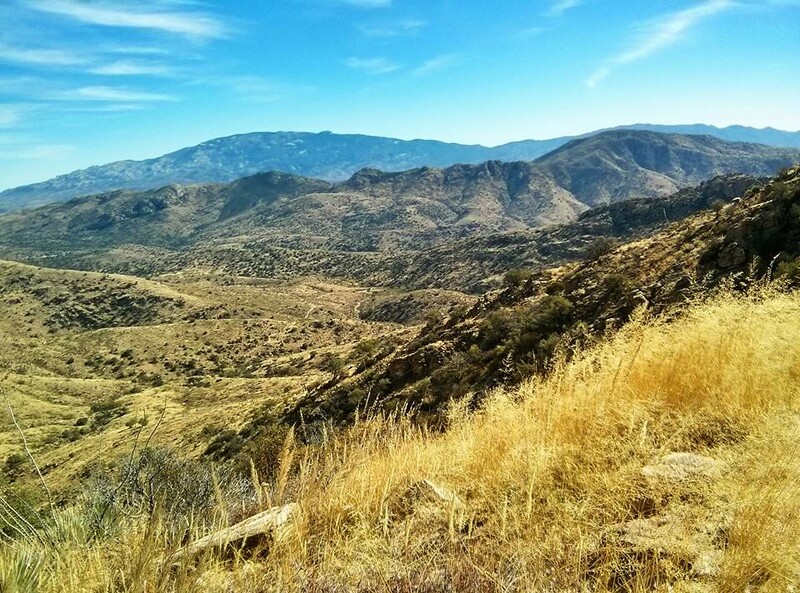 The San Pedro River Valley – a tour of the river – pictures, maps, links, information – a great resource! Wyatt Earp Explorers- by John D. Rose – Quite a bit of interesting information about Historical Sites from the author of several books about the area. 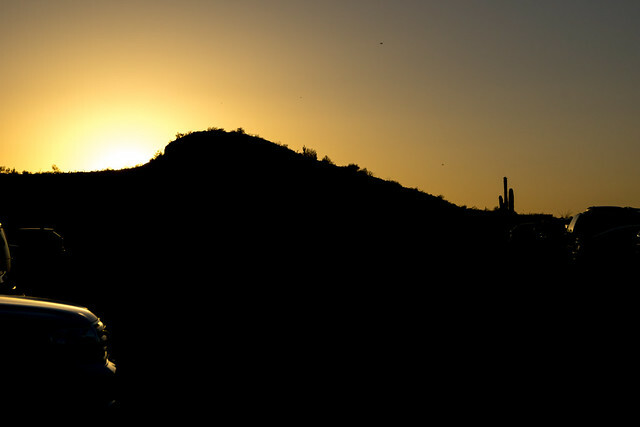 The San Pedro River: A Discovery Guide – Nice print guide to the river. Reintroduced beavers branching out in San Pedro – Beavers where extirpated by the 1920s and reintroduced in 1999. This entry was posted in Hiking, Running and tagged contention ruins, fairbank cemetery, fairbank historic site, san pedro river on 2013 June 5 by cmiles.